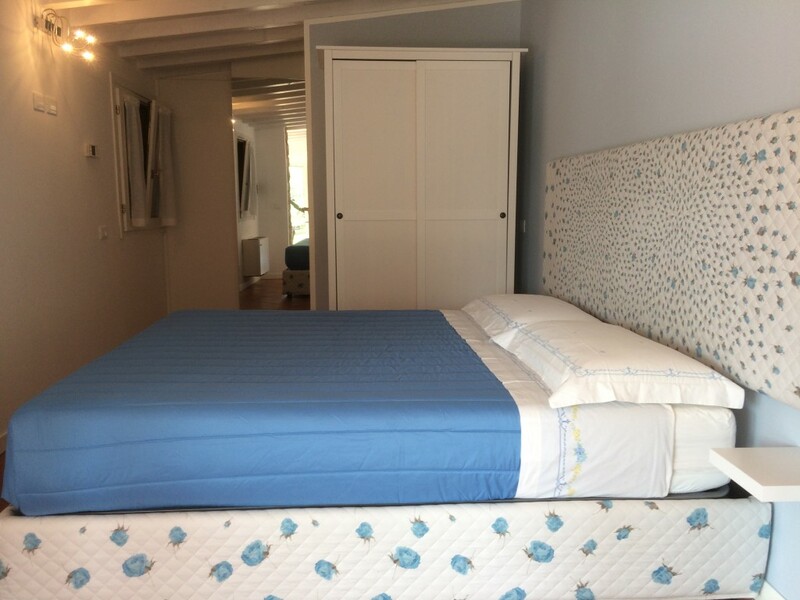 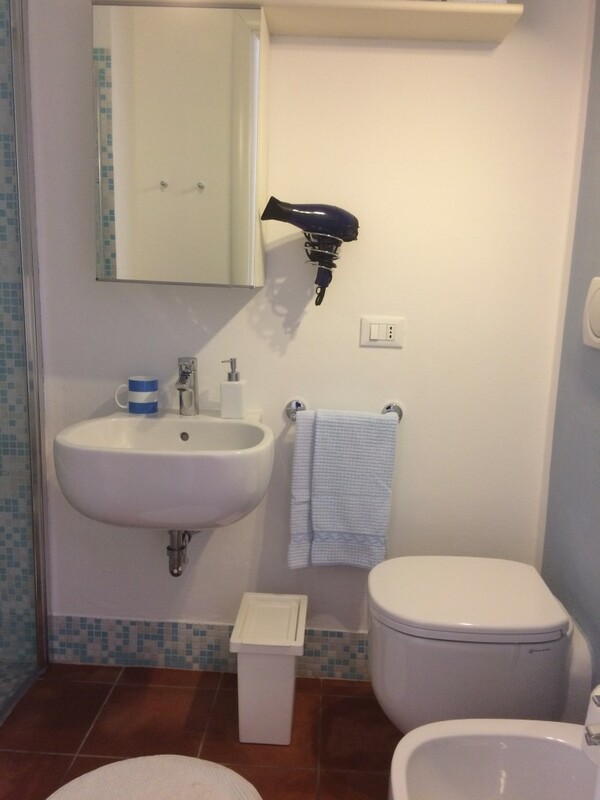 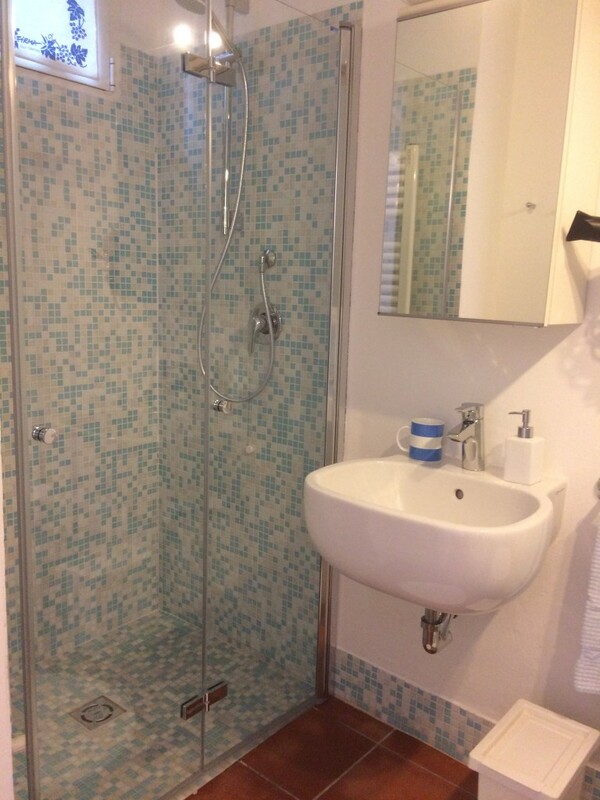 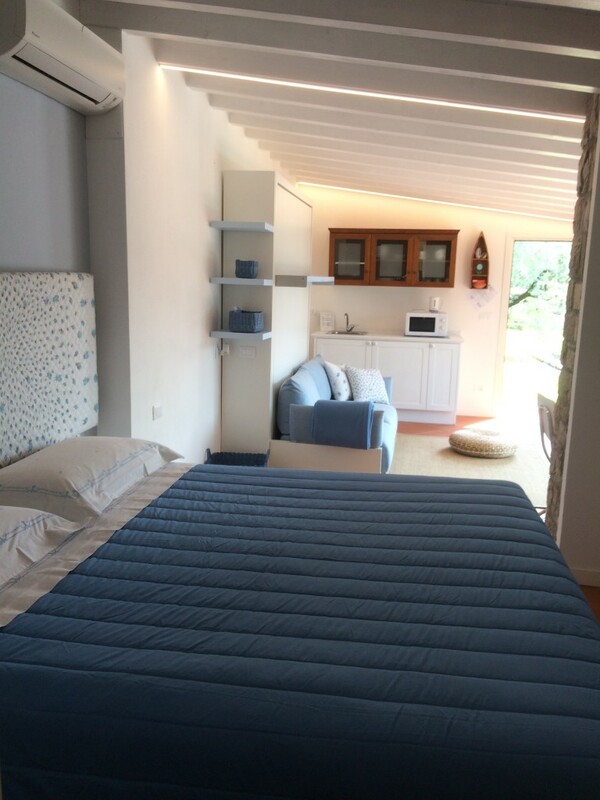 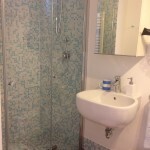 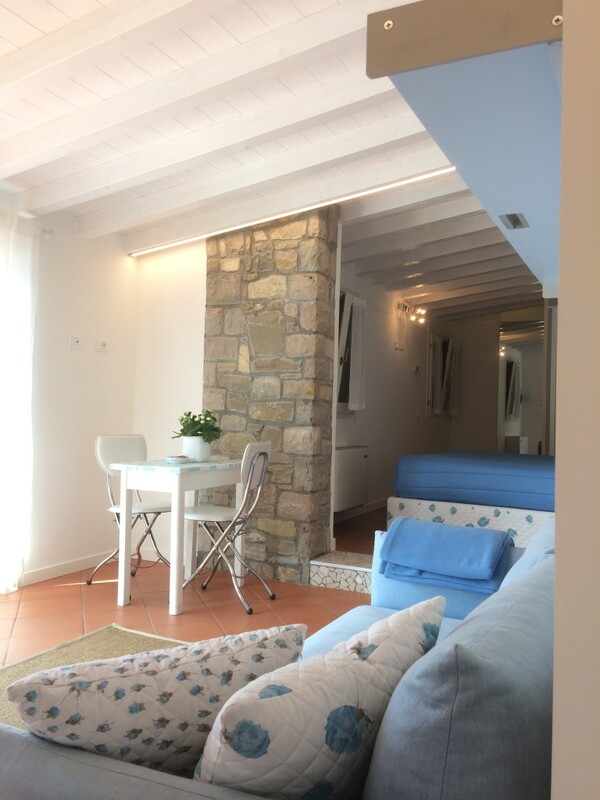 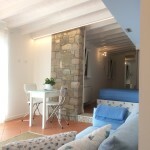 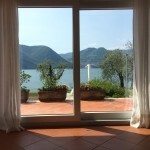 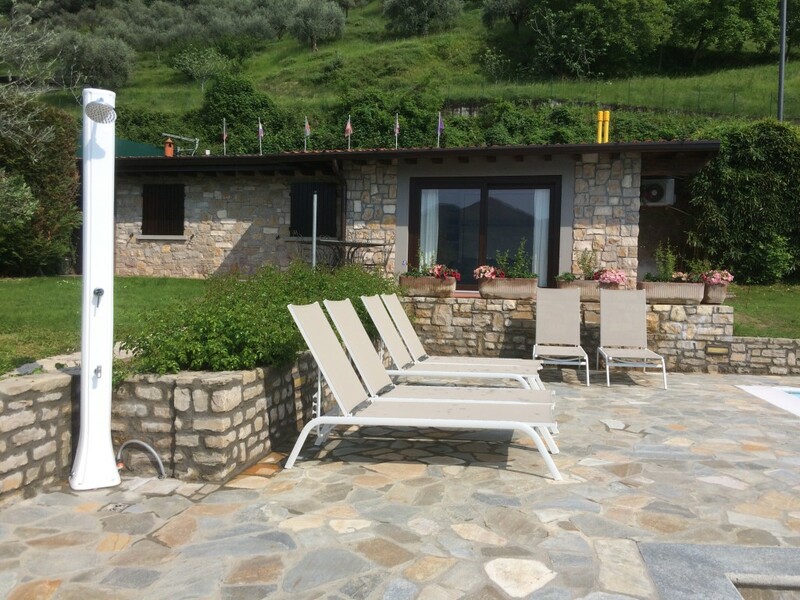 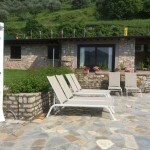 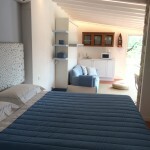 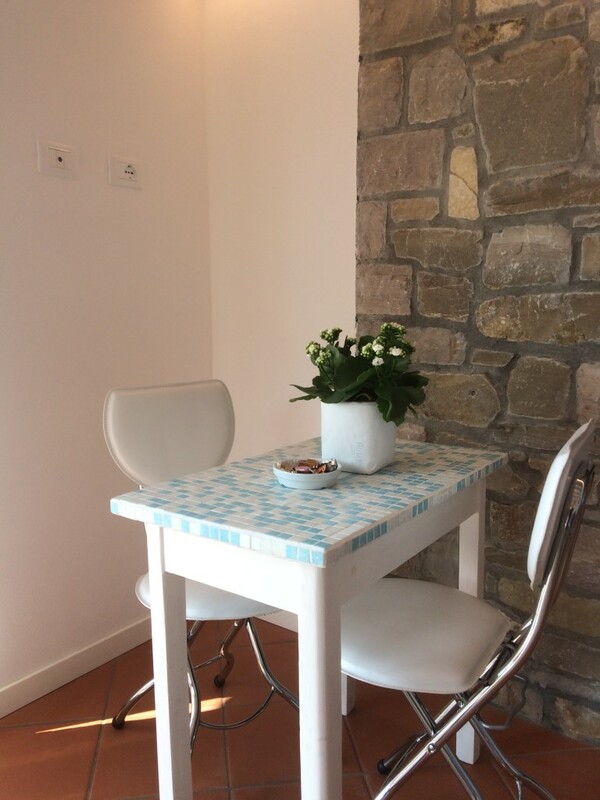 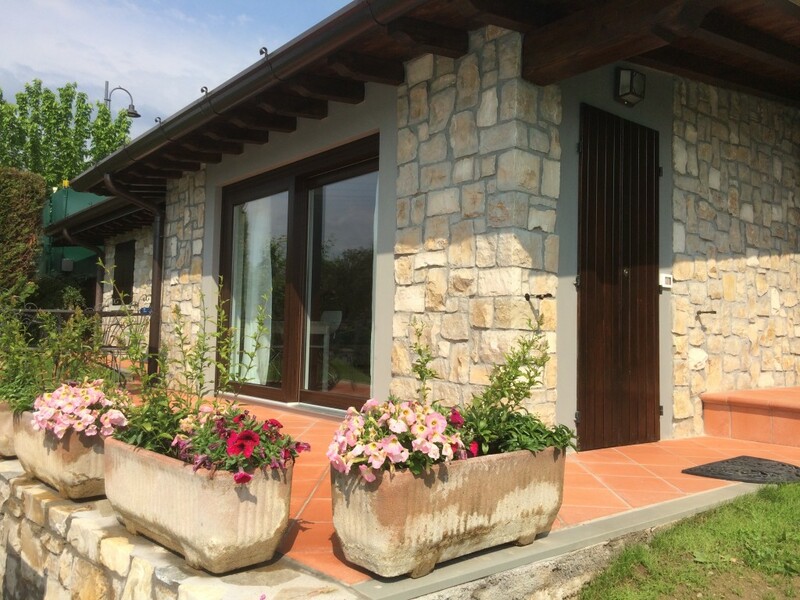 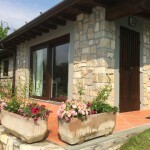 Close to the swimming pool is the studio, which may be small but furnished and decorated in blue and white resembling the colours of the lake it is transformed in to a cosy dwelling. 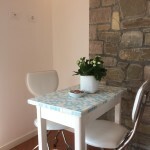 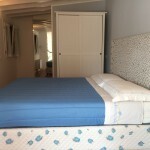 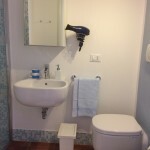 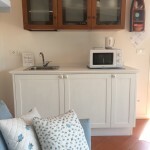 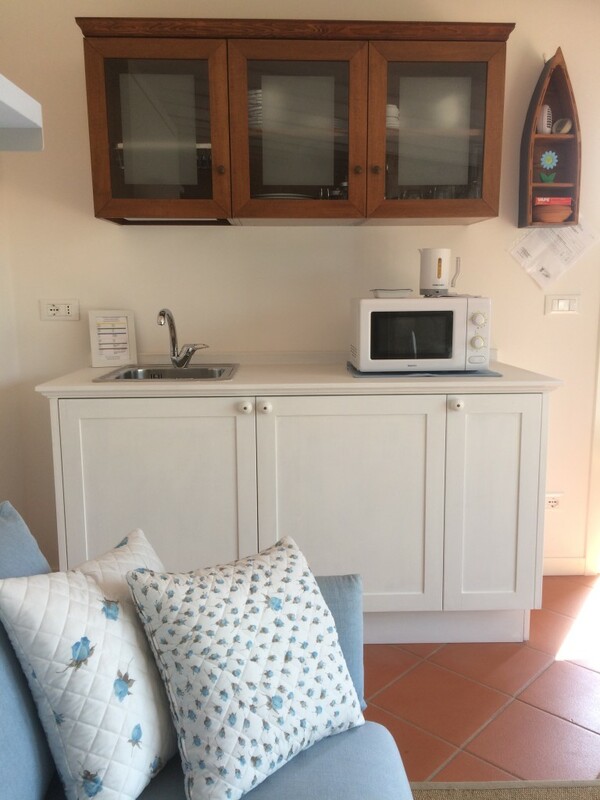 The accommodation is equipped with a fridge, a small table with two accompanying chairs, sofa/double drop down bed, wardrobe and bathroom with shower and a hairdryer,air conditioning. 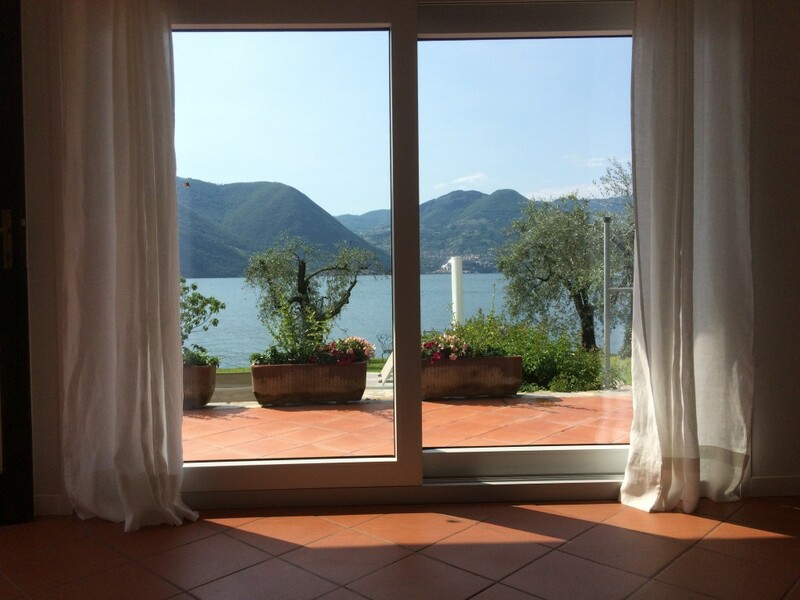 Under the porch there is a table with four accompanying chairs in order to allow you to admire the magnificent view of the lake.